Tallents Solicitors > Articles > Agricultural law > Farming in partnership – who owns the partnership assets? “In short, Ben Wild, had entered into a farming partnership with his son Malcom in 1978 and, later on, also included his son Gregory in the partnership. 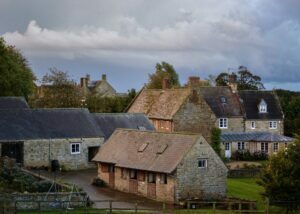 Prior to the partnership, Ben solely owned a farm which also included a farmhouse and bungalow, and the surrounding farmland was subsequently used by the farming partnership. After Ben’s death in 2003, Malcolm and Gregory continued running the farm until their relationship deteriorated to the point that the partnership was dissolved in 2016. “Given that many farming businesses involve different generations of the same family, a Partnership Agreement is vital to keep the working relationship on a business footing. However, it needs to be well-thought through and clearly written. “The case of Wild vs Wild highlights the need for farming families to have a written Partnership Agreement to clearly cover what is and isn’t included in the partnership. “For the Wild brothers and their mother, this dispute dragged on for several years in court causing heartache, stress and avoidable expense for all parties.